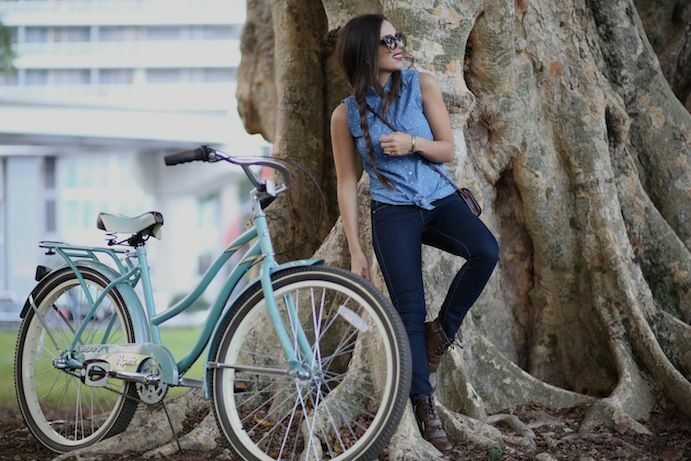 Local fashion bloggers from Miami getting around and riding fashionably. 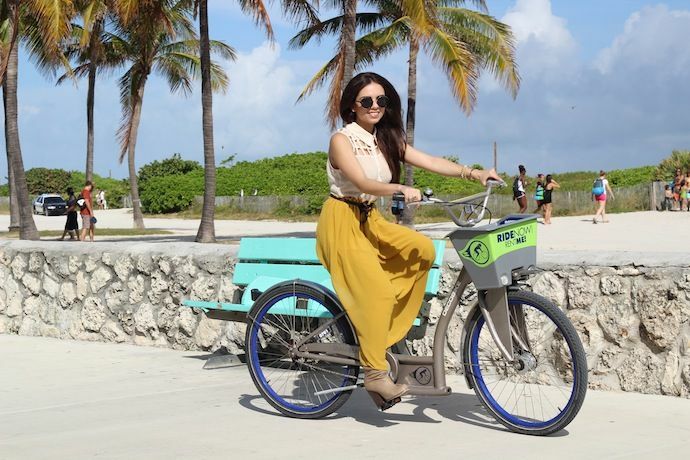 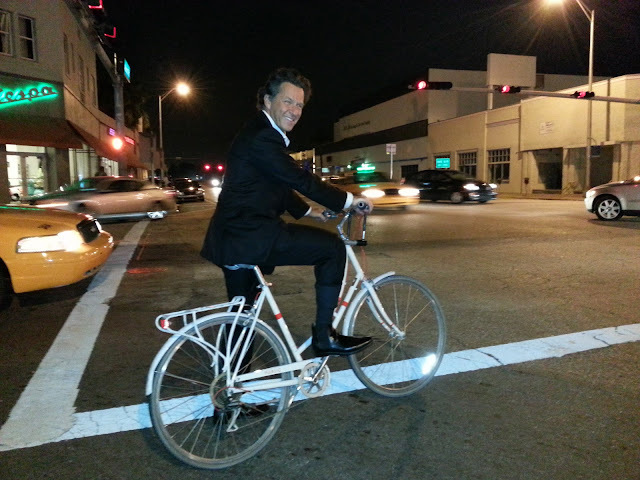 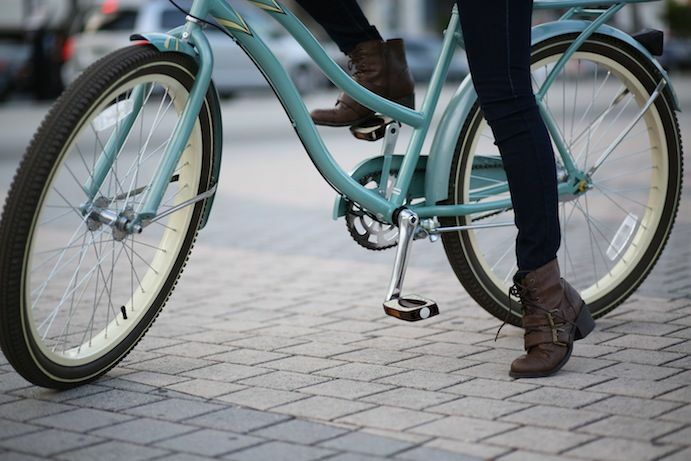 This is Daniela Ramirez of Nany's Klozet riding the DecoBike on Miami Beach, bike share chic from head to toe! 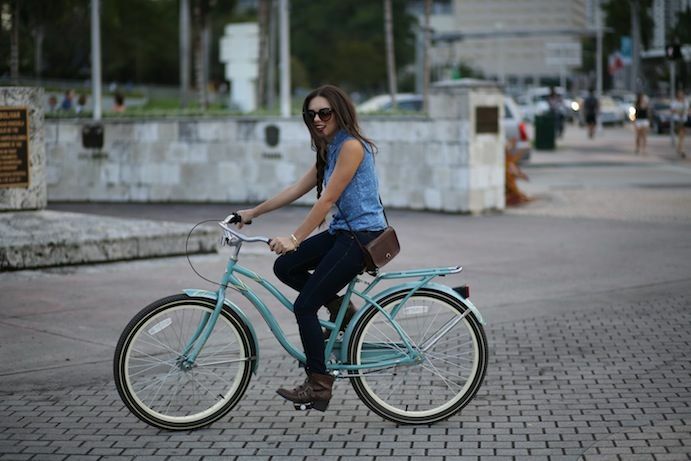 She also just got a brand new bike because she lives in a very bicycle friendly part of Miami. 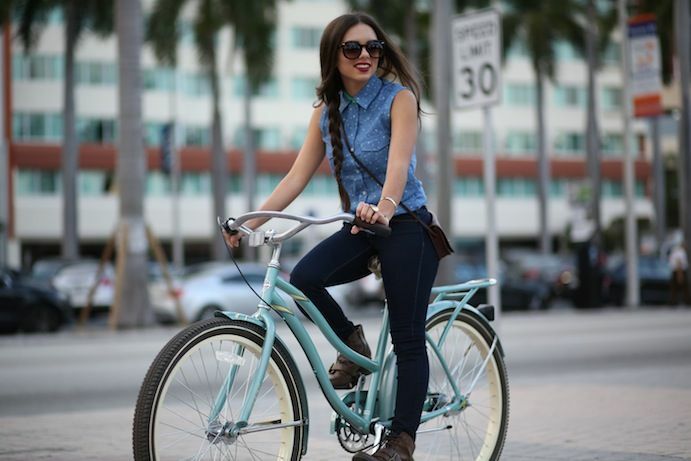 This is Stefanie from Steffy's Pros and Cons. 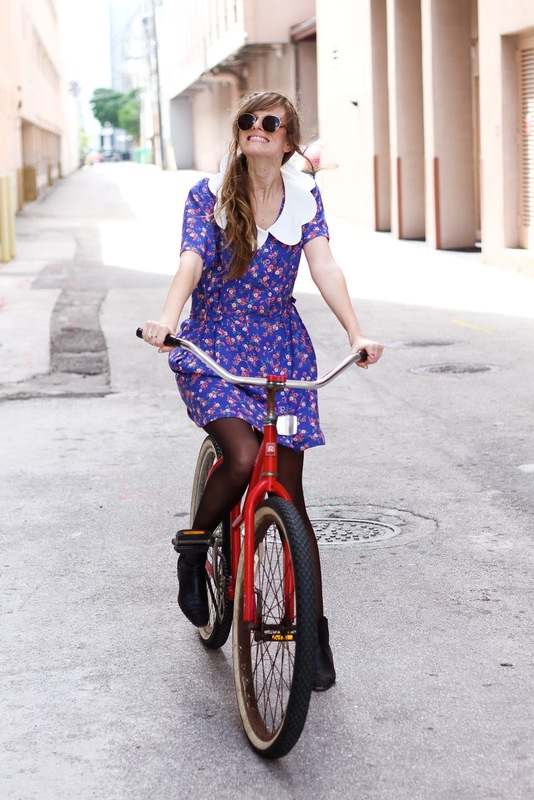 Riding a bicycle brings instant smiles!